PilotEdge Forums • View topic - How to exit a hold thats part of a DP? How to exit a hold thats part of a DP? If I fly a hold that's part of a DP when is the correct time/location to exit it? I'm thinking you finish the inbound to the vor/fix and then continue on from there, but I had something happen to me this week that confuses me, should I just exit mid hold when I reach the altitude described in the DP? Re: How to exit a hold thats part of a DP? practically speaking, I can't think of many situations where it will make much of a difference either way. Keith Smith wrote: practically speaking, I can't think of many situations where it will make much of a difference either way. I'll give that a go and see how it ends up. Lots of info out there for getting into a hold but not obvious how to leave one if not given ATC instruction. 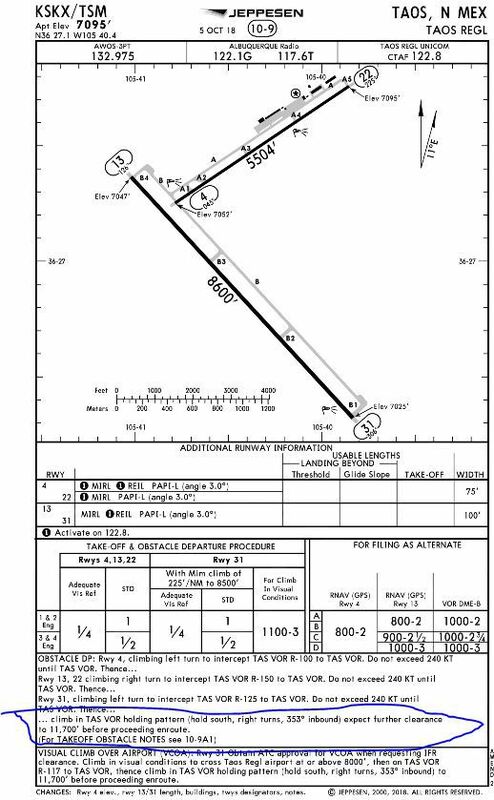 For an obstacle departure procedure (ODP), you may have to climb in a hold until the altitude mentioned in the procedure. Once you are at that altitude I cannot see it matters as you say. The example plate just says "proceed enroute"